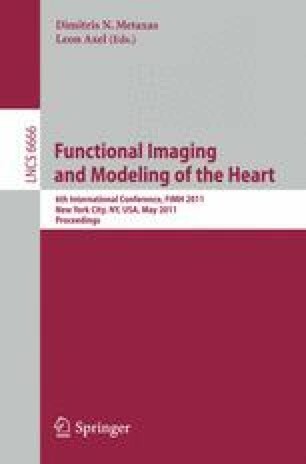 Recent developments on the 320 multi-detector CT technologies have made the volumetric acquisition of 4D high resolution cardiac images in a single heart beat possible. In this paper, we present a framework that uses these data to reconstruct the 4D motion of the endocardial surface of the left ventricle (LV) for a full cardiac cycle. This reconstruction framework captures the motion of the full 3D surfaces of the complex anatomical features, such as the papillary muscles and the ventricular trabeculae, for the first time, which allows us to quantitatively investigate their possible functional significance in health and disease.